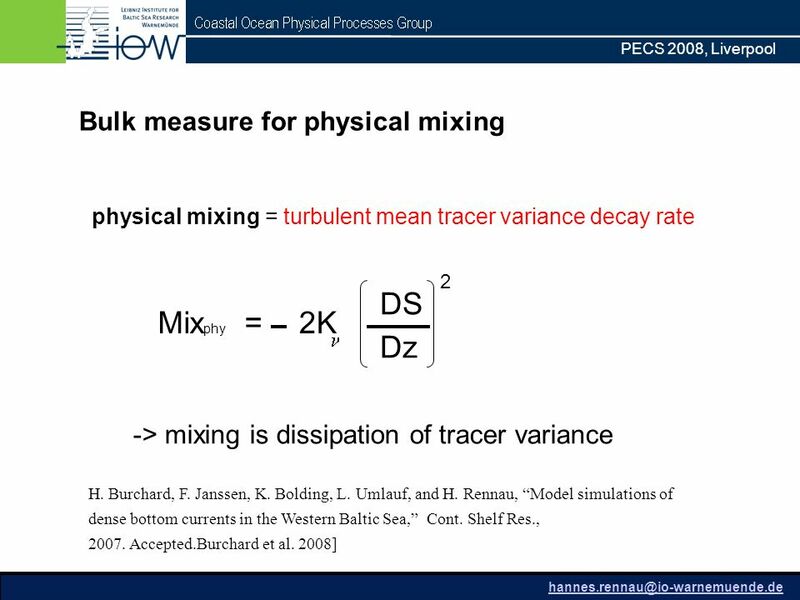 PECS 2008, Liverpool Hannes Rennau and Hans Burchard Baltic Sea Research Institute Warnemünde (IOW) Quantitative analysis of numerically induced mixing. 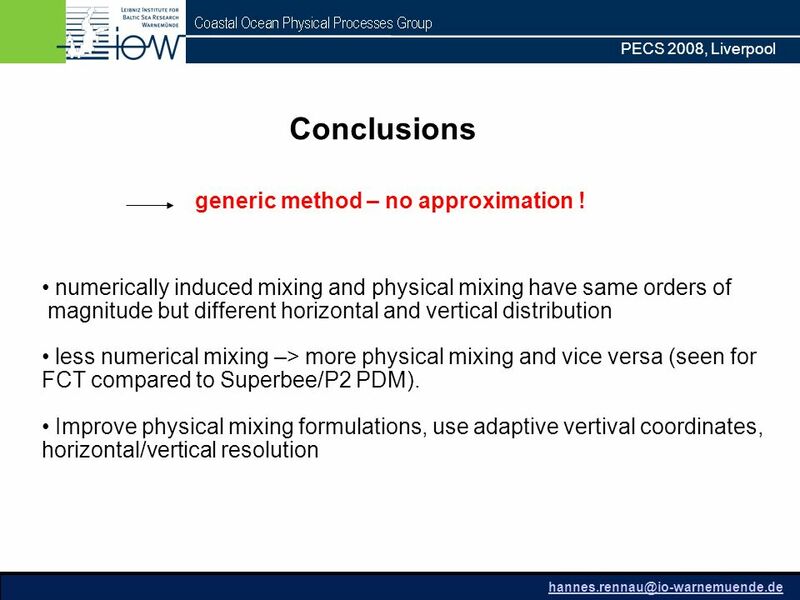 Download ppt "PECS 2008, Liverpool Hannes Rennau and Hans Burchard Baltic Sea Research Institute Warnemünde (IOW) Quantitative analysis of numerically induced mixing." 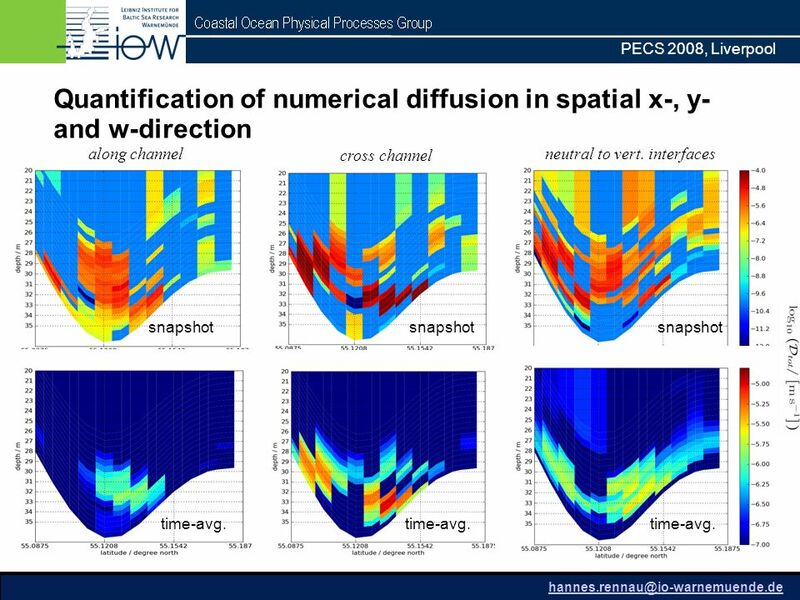 Numerical simulations of dense bottom currents in the Western Baltic Sea: Quantification of natural, structure-induced and numerical mixing Hannes. The University of Reading Helen Dacre AGU Dec 2008 Boundary Layer Ventilation by Convection and Coastal Processes Helen Dacre, Sue Gray, Stephen Belcher. 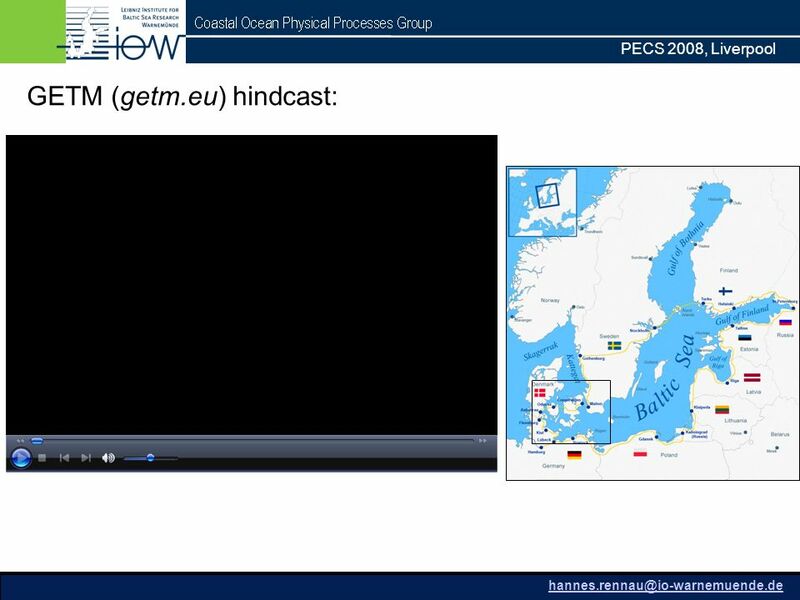 Thermohaline structure, processes responsible for its formation and variation in the Gulf of Finland Taavi Liblik Marine Systems Institute at Tallinn University. Yeon S. Chang, Xiaobiao Xu, Tamay M. Özgökmen, Eric P. Chassignet, Hartmut Peters, Paul F. Fischer 1 MPO/RSMAS University of Miami 1 Mathematics and Computer. 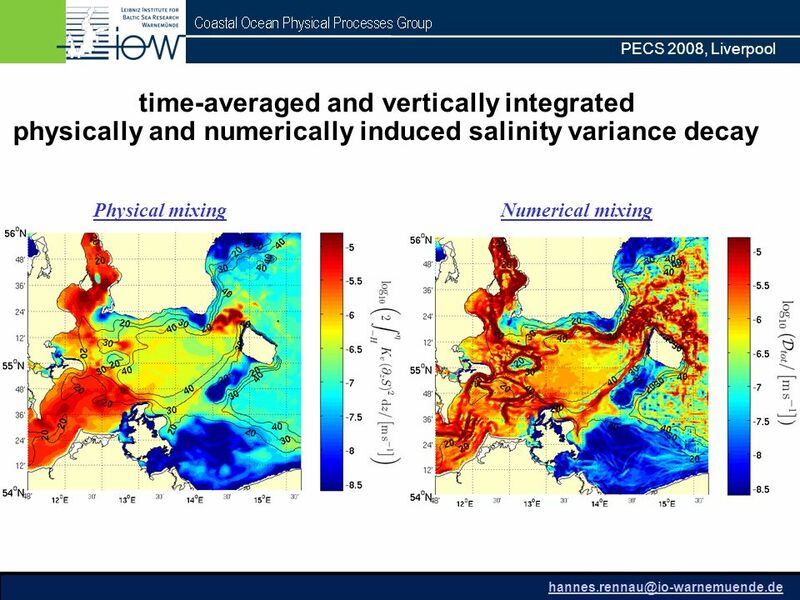 Baltic Sea Research Institute Warnemünde iow iow Ecological consequences of different nutrient abatement strategies for. Freshwater cylinder test-case. Objectives To compare with Tartinville et al. 94 results of a similar test-case To compare with Tartinville et al. 94 results. Hans Burchard … … and many others from inside and outside IOW Leibniz Institute for Baltic Sea Research Warnemünde The. 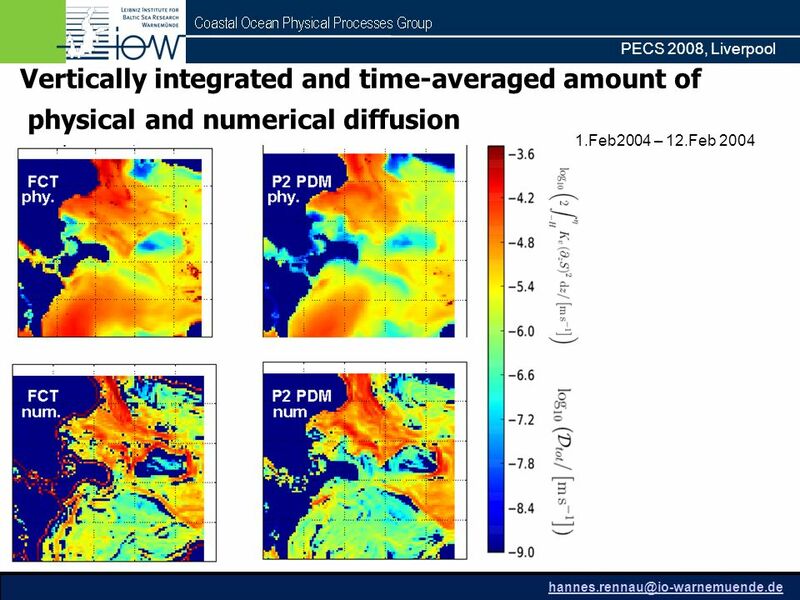 Salt rejection, advection, and mixing in the MITgcm coupled ocean and sea-ice model AOMIP/(C)ARCMIP / SEARCH for DAMOCLES Workshop, Paris Oct 29-31, 2007. 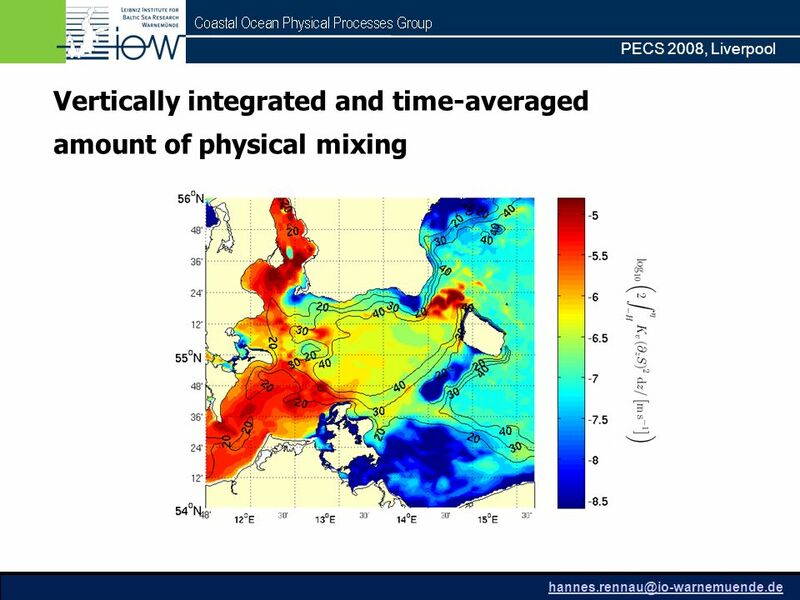 Mixing in Cold water Domes and at Sills Alan M. Davies and Jiuxing Xing Proudman Oceanographic Laboratory, Liverpool, UK. 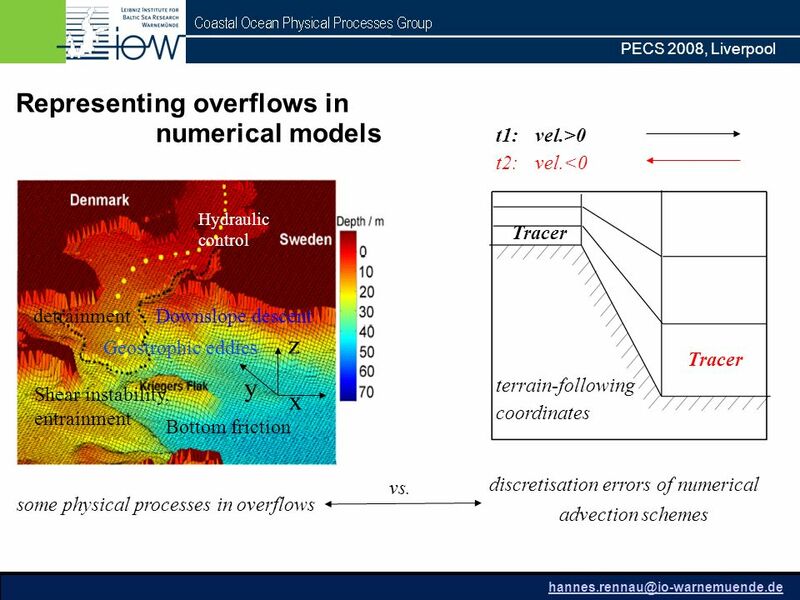 HYCOM and the need for overflow/entrainment parameterizations. 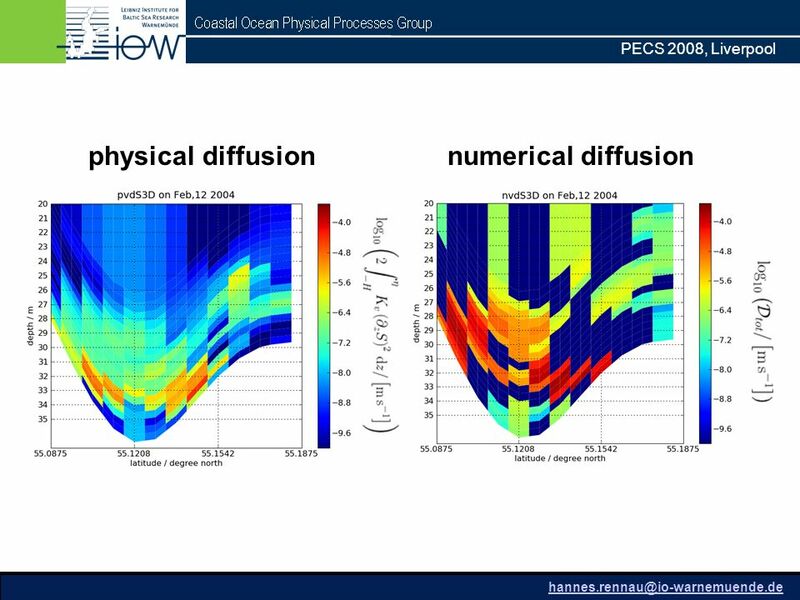 Hans Burchard Leibniz Institute for Baltic Sea Research Warnemünde From the Navier-Stokes equations via the Reynolds decomposition. Yoichi Ishikawa 1, Toshiyuki Awaji 1,2, Teiji In 3, Satoshi Nakada 2, Tsuyoshi Wakamatsu 1, Yoshimasa Hiyoshi 1, Yuji Sasaki 1 1 DrC, JAMSTEC 2 Kyoto University. 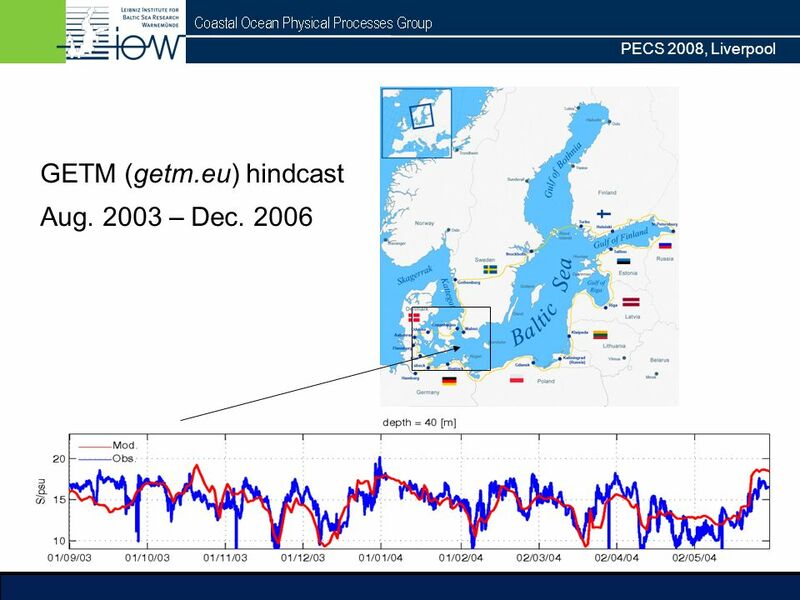 Hans Burchard Leibniz Institute for Baltic Sea Research Warnemünde Trying to model Greenland’s fjords with GETM. Hans Burchard Baltic Sea Research Institute Warnemünde, Germany Collaboration: Lars Arneborg, Thomas Badewien, Karsten. 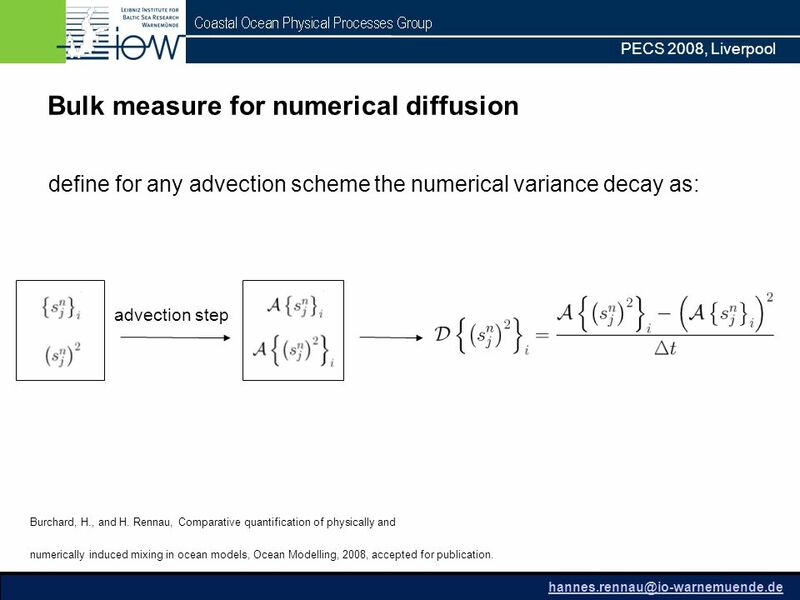 Spatial Reduction Algorithm for Numerical Modeling of Atmospheric Pollutant Transport Yevgenii Rastigejev, Philippe LeSager Harvard University Michael. 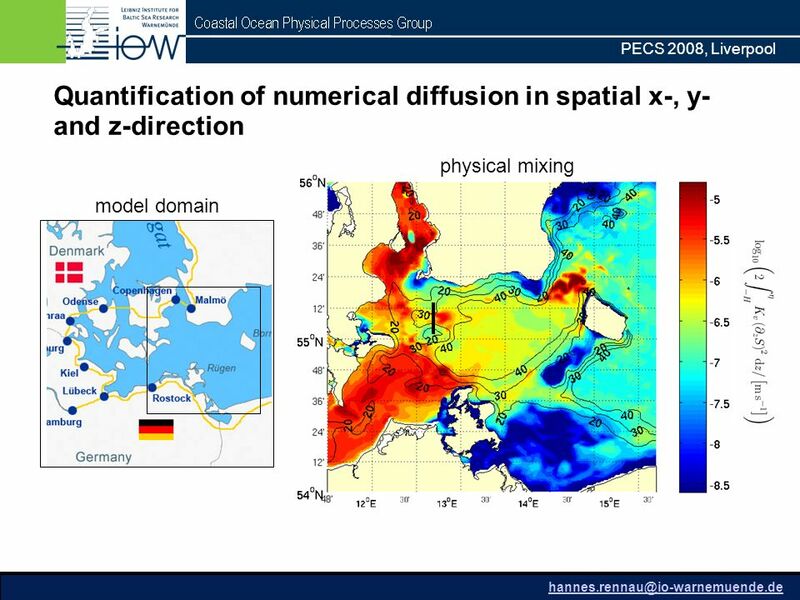 Introduction to surface ocean modelling SOPRAN GOTM School Warnemünde: Hans Burchard Baltic Sea Research Institute Warnemünde, Germany.